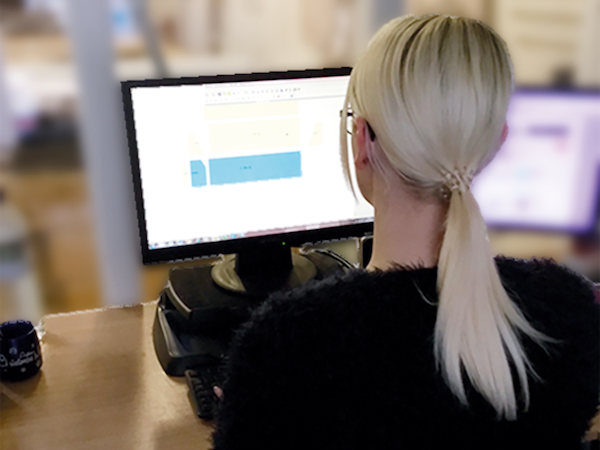 The process all starts with our designer Sarah, making sketches up, choosing the fabric and shapes ready for the development team to put together to see the sofa image come to life. 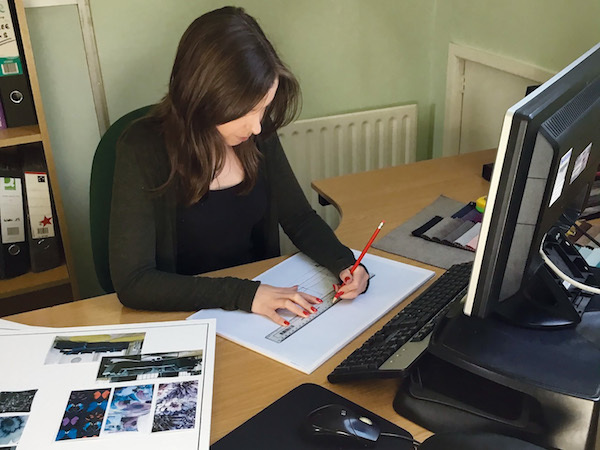 Here in development they get the brief from the designer and make the beautiful sketches a reality. 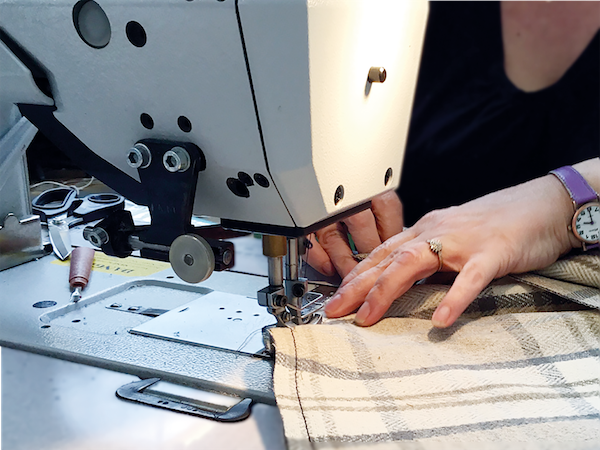 In this image we can see James unpicking the fabric from a new design, as we want to ensure each design is perfect. 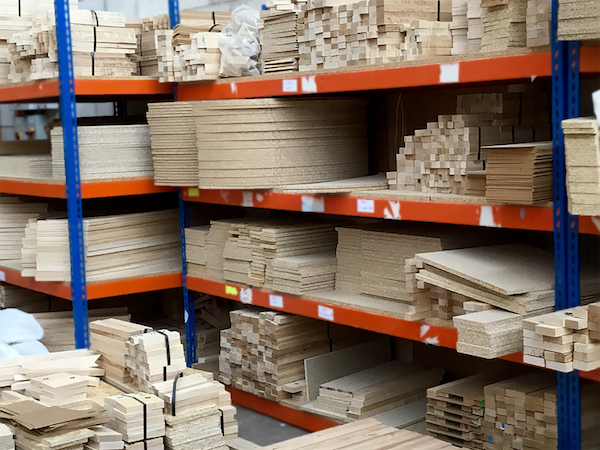 If it isn’t what we imagined, we start again to provide the best looking furniture around. 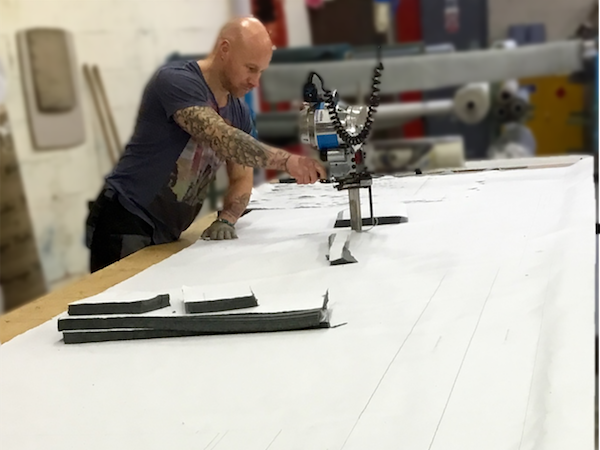 In development we also ensure the fabric will give the perfect fit to the sofa, this is ensured by hand cutting to stencils that match the designs. …and plenty of fabric for the rest. 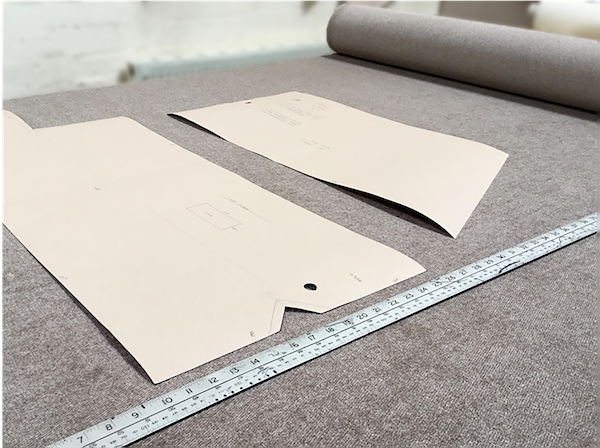 The correct ‘lay plans’ are drawn up and detailed for the fabric cutting by Judith our CAD technician. 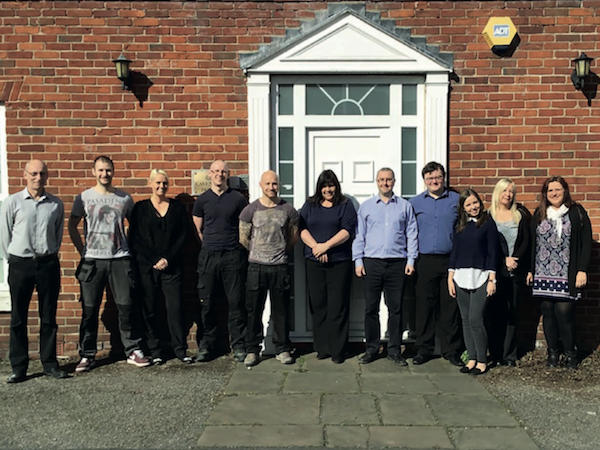 Each sofa range is different; including all sizes, so getting this part correct ensures the perfect fit for all our ranges. 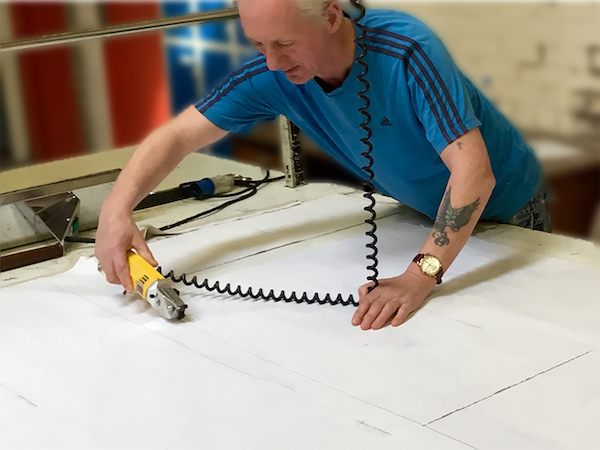 …but we do cut by hand too, as can be seen here by Tommy. 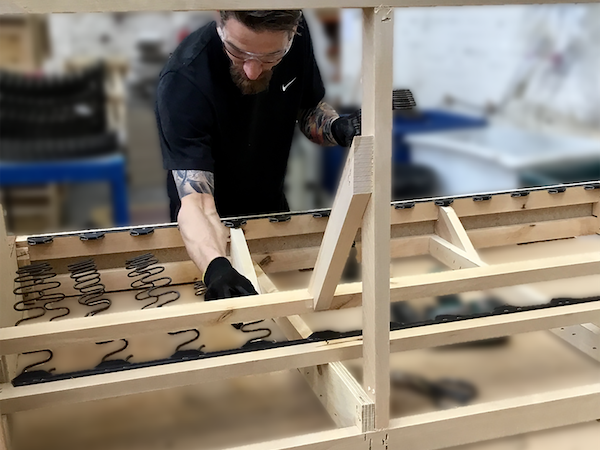 At the same time the fabric is being cut, the frames are being built, glued and stapled all by hand by expert frame makers like Nick, to ensure a study frame is achieved. 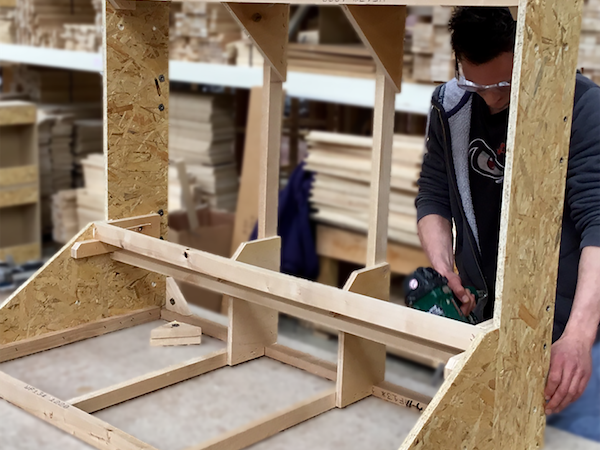 Onto this firm foundation, we send the frame over to the springing department where skilled workers like Ian add the springs that give our sofas the added comfort. 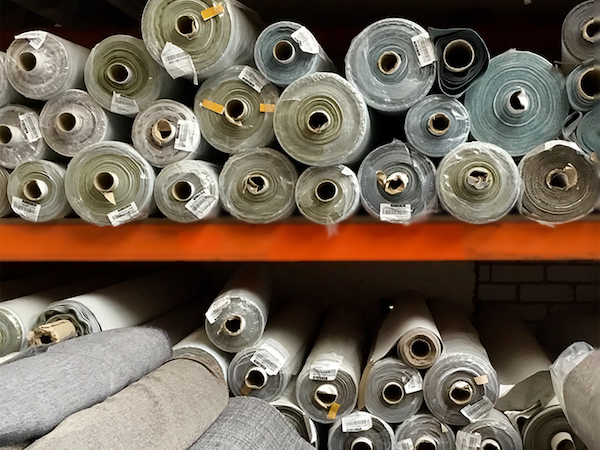 Meanwhile our expert seamstresses have collected the fabric from cutting and are sewing them together, perfectly aligning patterns and fabrics to give the best finish possible. 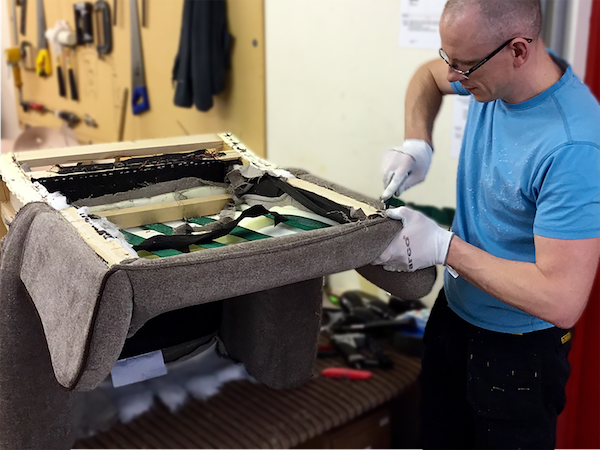 And here is where it starts to come together with the Upholsters like Paul with over 25 years’ experience, adding the fabric to the frame with great skill. 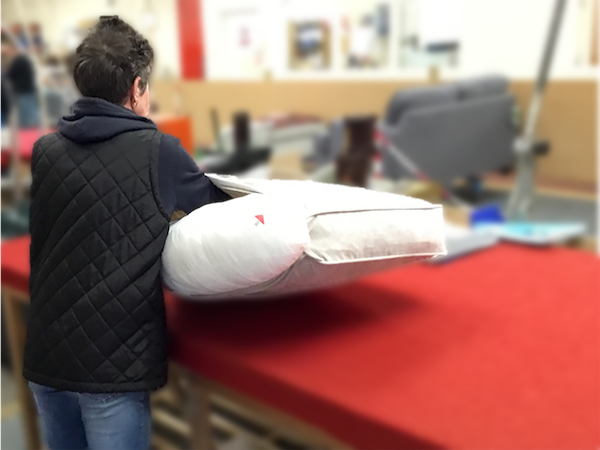 All cushions are filled onsite and then put inside of the finished cushion covers. Here we can see Jackie doing just that. 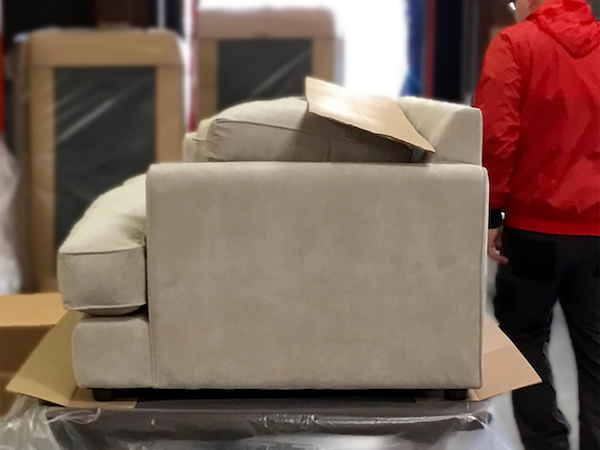 Then the sofa is off for final checks to ensure that your customers get the very best from us. Packaged and sent off for delivery soon to be with its owners, making a house a home. 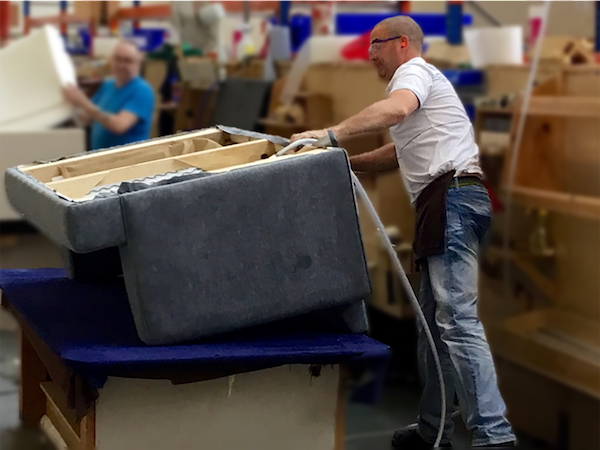 Our team at Cavendish Upholstery work hard to ensure we supply on-time, quality comfortable sofas that exceed your expectations.